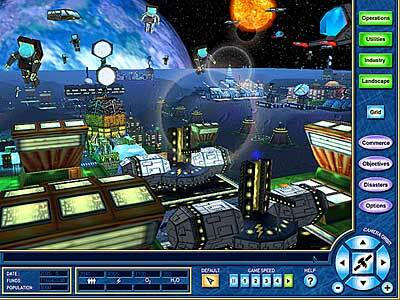 The 3D graphics makes this Moon Tycoon game an intriguing sim if you are interested in building a city on the moon. 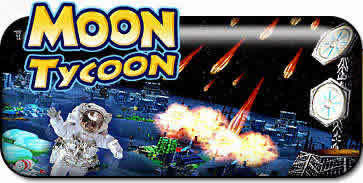 Moon Tycoon Game Blast off! Journey to the moon to build and manage your own 3-D lunar colony. All aspects of colony life are in your hands. From building colonies and creating industries, to trading with Earth and alien races, you are in control. 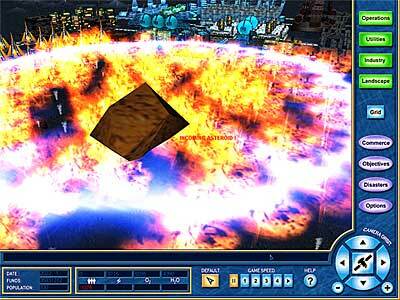 Build your lunar empire from start to finish in this amazing and engaging 3-D strategy and simulation game. 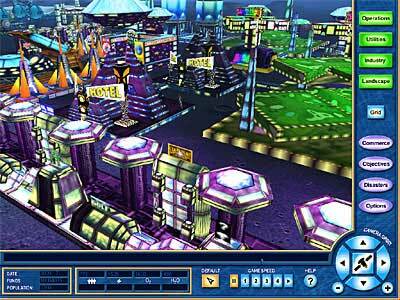 Over 60 3-D buildings, including Spaceports, Lunar Golf, Military Bases, and more. Manage four customizable industries, including mining, manufacturing, research, and tourism. Incredible 3-D graphics, lighting effects, and surround sound. 16 devastating disasters, such as Moonquakes and Ion Storms. 3D Live Snooker - This 3D snooker game simulates snooker on your computer with full 3D environment and perfect 3D sound. ActualCoach - It a realistic soccer management game. MagicBeads - A modification of the Tetcolor! Lemonade Tycoon - A cool twist on business simulation Lemonade Games. Grow a little stand into a big business.